There is an art to fly fishing, and when you mix it with saltwater prepare for fantastic strikes and unforgettable fights. Saltwater fishing is a varied experience, but you may be wondering why you would want to toss a line onto the top of the water while fishing out in the middle of the deep ocean. Let’s start with a quick overview of the top game fish you can land by saltwater fly fishing. 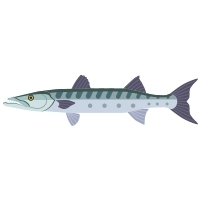 Barracuda love to feed in the flats and are hyper aware of their surroundings with a sight range of up to 20 feet. They’re also ambush predators, so use a clear line that won’t tip them off when you toss a fly about five to 15 feet in front of the fish. Artificial Needlefish tied flies will often do the trick with Barracuda. 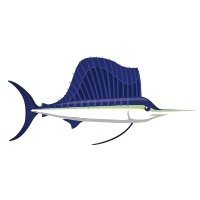 Bonefish, like Barracuda, are a sight fishing game fish that love warm tropical waters. Choose a bonefish taper, as these are specifically designed to withstand hot weather conditions, combined with a fly designed to imitate the Bonefish’s natural prey (crustaceans like shrimp and crab) for the best results. 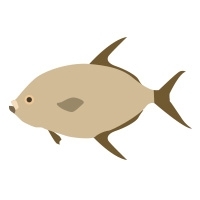 Dorado, as a general rule, are going to prefer dark patterns capable of producing silhouettes. When choosing a fly, it may help to experiment with colors depending on water quality, but it’s typically best to choose one that will disturb the waters to trick the Dorado onto your line. Pacific Sailfish are some of the easiest billfish to catch, but that doesn’t mean just any tactics will get you the strike. You can find them in tropical waters herding bait near the surface, so start by using a teaser to lure them closer to your boat until you drop in the fly. Once they fall for the trick, prepare for a 30-minute fight with awesome photo opportunities as this powerful fish puts on their characteristic acrobatics show. Permit are easily spooked, so when you’re fly fishing for these game fish you really need to know how to place your fly. You want to make sure it’s very close to the fish, which can also be difficult since Permit are typically bottom-feeders; but, if you choose a weighted, crab-like fly and bring some patience on your fishing trip, you’ll find success getting a strike. Redfish like to cruise in murky waters, so your fly is going to need to be large enough for the fish to see. You’ll find the best results are when you focus on your casting and presentation, since this fish fights strong but doesn’t make long runs. Many different patterns will catch a Redfish as long as you choose a fly that’s about 3 inches long to toss into shallow waters. 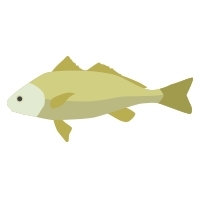 Looking to catch Redfish with live bait? 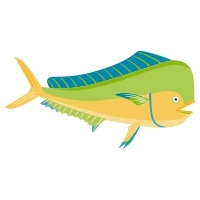 Check out more tips on our blog, How-to Choose Saltwater Live Bait. Roosterfish are known to pummel flies and pull hard when they’re on the hook. 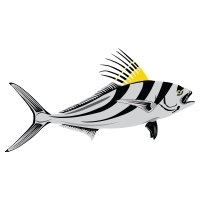 If you’re looking to challenge your casting skills and patience, head out to the beach and search for black and gray stripes that stand out against the surf; you can also find them in forage areas in deeper waters. Your fly line can float or sink, but your fly needs to change depending on conditions. Roosterfish fly fisherman have the best luck with Crease Flies, wide-bodied bucktails or ultra-hair baitfish in black, gray, tan, and white color variations. Snook thrive in water temperatures 70 degrees and above, so they’ll be more easily spotted in the flats year-round or around coastal bays and beaches by late spring. Equip your fly line with cast foam poppers, deer-hair bugs or shrimp and baitfish patterns for the classic approach to Snook fly fishing. Most of your casting will be done in close quarters, so prepare for a quick strike and fight to get the fish landed. 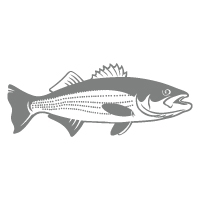 Striped Bass (Striper) are a popular saltwater fly fishing species because they’re a large, strong fish that will put up a good fight after eagerly going for your fly. 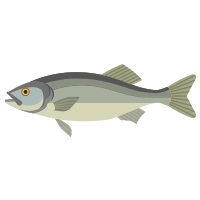 They’re natural predators for live bait such as threadfin and gizzard shad, so choose flies that imitate the bait, such as Deceivers and Whistlers, and toss your line into moving waters. Tarpon are going to eat a variety of prey throughout their lifetime, from minnows as babies to crabs and bigger baitfish as adults, so you have a wide range of flies to choose from for this fish. 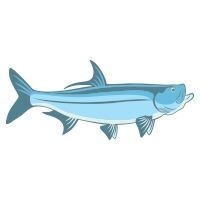 In general, saltwater fly fishing anglers can get Tarpon to strike with well-place lines baited with a Toad, Tarpon Tapa, EP Tarpon Streamer, Cockroach or Tarpon Mouse (Slider). We talked a lot about flies, one of the most critical components of your saltwater fly fishing gear, for each of these species, but flies aren’t the only thing to consider when you’re going for the strike. There are few things more important to the art of fly fishing than your gear. Namely, you want to make sure you have the right rod, reel, fly line, and fly to get your fly fishing game off to the best start. When picking out your gear, to consider where you are going to be fishing, and what fish you are hoping to get on your line. 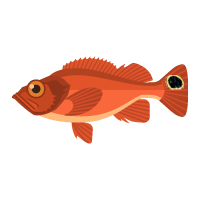 By knowing these two pieces of information you can speak with local fly fishing anglers or someone at a local tackle shop to pick out what you’ll need, but there are some basic setups that work well for many saltwater fish species. Start by selecting your rod, since your fly rod will determine the rest of your gear. There are plenty of rods to choose from, so try not to get too caught up in the details when you’re starting out. They’ll matter more when you’ve become a seasoned saltwater fly fishing angler going for a very specific fish. Instead, choose a versatile, multi-purpose, 9-feet long and 9 to 10-weight fly rod that you feel comfortable with. It doesn’t need to be the most expensive option, but try to steer away from the cheapest rods as well since a poor rod can ruin your experience. Once you have your rod, you need to add a reel. Start by looking matching the weight of the reel to your rod, or it won’t work. Then look at the drag type, usually either center or offset. From there, choose the arbor size, which refers to the diameter of the spool. You’ll do well with a mid-arbor reel for general use while saltwater fly fishing. 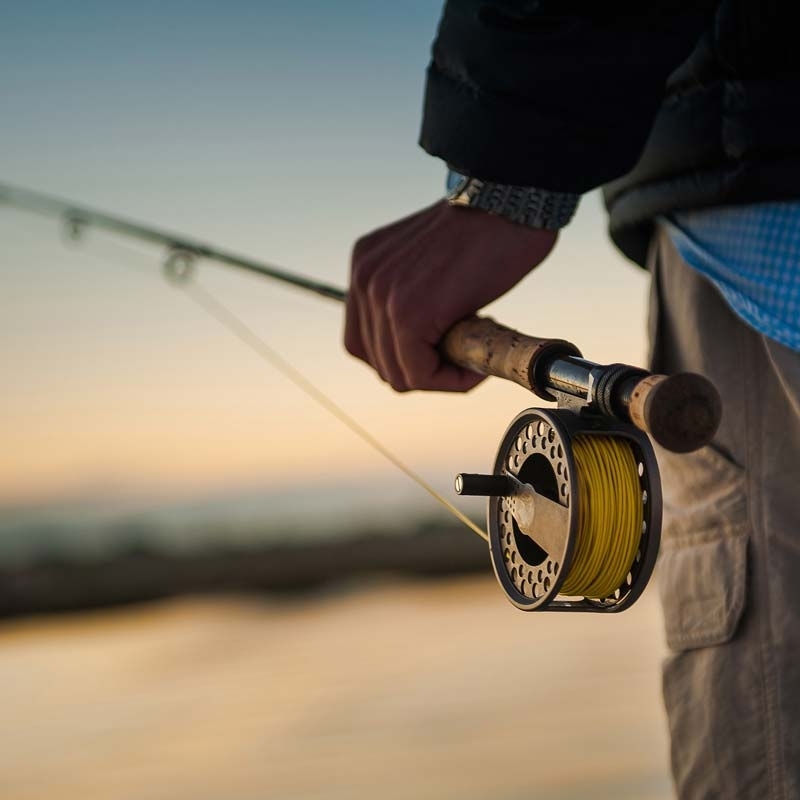 To save money, you can also look for a fly rod and reel combination, referred to as a “Fly Rod Outfit." Then, you are ready to add your fly line. Choosing a line is going to depend on where and how you will be fly fishing, so this is where you’ll benefit the most from talking to more experienced anglers. They can let you know if you need a floating or sinking, opaque or clear line to get the strike. To finish out your gear, add fly backing, a leader, and a tippet for your fly. It can be helpful to bring back-up gear on your saltwater fly fishing adventure aren't biting and you need to switch it up to get the strike. As long as you have a multi-purpose rod and reel, and a solid fly line that will do well for most fish, you can keep your pack a little lighter by bringing along little more than what is on your back and a tackle box filled with a wide variety of flies. Just remember that as with all types of fishing, saltwater fly fishing is often going to require patience and commitment to figuring out what’s working based on the conditions that day. So don’t give up, and keep practicing your fly fishing cast until you land that trophy fish! You can also always try other types of Saltwater Fishing and come back to fly fishing!